Probes and craft in these regions run off nuclear power. This has a long history the first nuclear power system for satellites was launched in 1961 and nuclear-powered craft include the Pioneer and Voyager probes, Galileo, Cassini, Ulysses and the New Horizons probe, currently on its way to Pluto; as well as the 1970s Viking landers, the Spirit and Opportunity Mars rovers, and the scientific instruments used on the Moon by the Apollo 12 to 17 crews. These are all still where they were left, apart of course from those to be used by Apollo 13, which are somewhere in the Pacific Ocean. The power units in nuclear-powered spacecraft are nothing like the fission reactors that power submarines and aircraft carriers, or that spin the turbines in power stations. 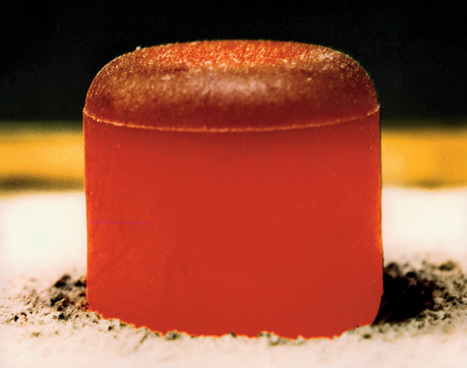 Rather than forcing and then controlling chain reactions of fissile material, and generating electricity by capturing the large amounts of heat in the reactor’s cooling system, they work by harnessing the smaller amounts of heat generated by natural radioactive decay and using it, directly, to generate electricity. It’s most useful to think of them as a kind of nuclear battery, rather than a generator. 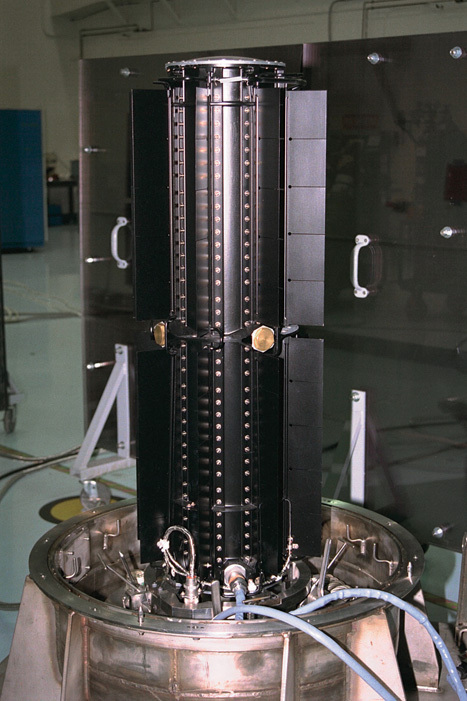 ’There are two types of system used on spacecraft: ones that use the direct production of heat by radioactive decay, known as radioisotope heater units or RHUs; and those that generate electrical power via radioactive decay heat, known as radioisotope thermoelectric generators or RTGs,’ Rice said. RTGs generate electricity using a phenomenon known as the Seebeck effect, which is probably familiar to most engineers who use electronic thermometers it’s the flow of electrons that occurs when the junction between two metals is heated, and is the basis of thermocouples. 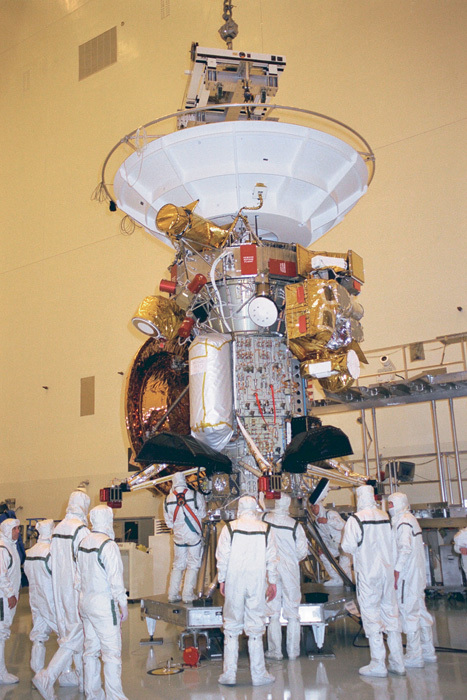 For example, the RTGs that power the Cassini probe, which is studying the rings, moons and atmosphere of Saturn, use an array of silicon-germanium thermocouples to collect the heat from pellets of the oxide of plutonium-238, which decays via the release of alpha-particles. RHUs, meanwhile, are used to keep vital spacecraft systems warm so that they can function in the deep cold of space. Again using Cassini as an example, it has three RTGs and 82 RHUs. Pu-238 does not occur in nature, he explained. ’It’s a by-product of the nuclear weapons industry and it’s made by taking neptunium-237 from spent nuclear fuel, converting it into a target and placing it into a high-flux reactor where it captures neutrons. That produces Pu-238, which you then have to separate chemically. But that production route is now closed and to reopen it would cost many hundreds of millions of pounds.’ In fact, since 1993, all of the Pu-238 used in the US has been bought from Russia. Among the groups trying to find an alternative is ESA, with an eye on Mars and lunar missions, which has a roadmap towards a new nuclear technology. The UK is involved in this, with Systems Engineering and Assessment (SEA), the NNL, Leicester University, Oxford University and the Rutherford-Appleton Laboratory working alongside EADS Astrium on aspects of research such as isotope selection and production; studies towards fuel encapsulation; and design of aeroshells to protect the RTG or RHU. The isotope selection programme, involving SEA and the NNL, is using a variety of criteria, including the need for a sufficient power density over a 20-year lifetime; a manageable radiation dose; and a chemically stable form with a high melting point. The material must also be readily available or produceable in Europe, using a technically feasible and affordable production process. ’The front runner is americium-241 [Am-241],’ Rice said. One area where Rice’s own organisation, the NNL, is likely to be involved is the separation process. A £1m, two-year study that began this year will look at developing a full-scale separation plant. Currently, the plant is being designed in computer simulations and these will be tested and proved at NNL’s plutonium and mixed actinides (PuMA) lab at Sellafield. While most RTGs use thermocouples, some development work is focusing on an alternative method of heat conversion the Stirling engine. Originally developed in the early 19th century as a rival to the steam engine, Stirling engines use two enclosed cylinders of a working fluid: a hot cylinder, where the fluid expands; and a cold one, where the cylinder compresses. The heat source is outside the hot cylinder, giving the device its alternative name: the external combustion engine. In a nuclear Stirling engine, the heat would come from the radioactive decay of the fuel element, while the cold would come from space; a working fluid such as helium could be used. ’Stirling engines are more efficient for energy conversion than the Seebeck effect, so you’d need less fuel,’ Rice said. However, they require moving parts, which space engineers prefer to avoid if possible, and also produce an AC current that would need converting to DC, requiring more electronics and a complex control system. However, SEA, along with Oxford and RAL, are looking at developing a nuclear Stirling engine as part of the ESA roadmap. travels faster than the speed of light with the possible exception of bad news, which obeys its own special laws. The Hingefreel people of Arkintoofle Minor did try to build spaceships that were powered by bad news but they didn’t work particularly well and were so extremely unwelcome whenever they arrived anywhere that there wasn’t really any point in being there. Well, that certainly was enlightening! LOL. I have been studying long life electric cells that regenerate using heat for quite some time. I have poor fabrication technique (not a clean room environment), but have managed to produce a few cells with lifetimes over a year. I think this can work, where the cells are only heated up to 80 C degrees, beyond that and the matrix is unstable for a time. The best cell I made thus far was 1.55 +/- 0.1 V with a 3 Ohm output resistance at temperature, however this cell was about 25 cm on a side, and 2-3 cm deep. The active portion can be made arbitrarily thin, however, and will probably function better when thinner matrix is used, and the electrode spacing is quite close (<1mm). My electrodes were spaced about 4 mm apart. By the way, this "phonon" cell was only configured in a flat panel for solar heat source. Configuration of phonon cell can be made more like a traditional battery.